As we approach the holidays it's the perfect time to pop some bubbly in celebrations, although do we really all need an excuse for bubbly or wine for that matter? Plus, they're highly versatile wines to pair with food. 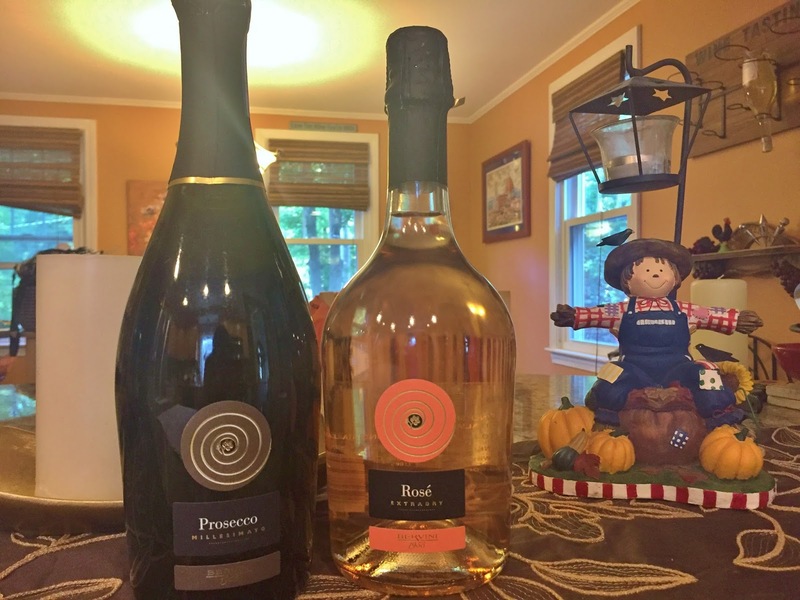 I recently tried some samples from the Bervini 1955 winery including their prosecco and rose spumante that I'm sharing with you today. The Bervini 1955 winery is named after the year the winery was established by Antonio Bergamo and his son Giuseppe then known as Azienda Vinicola a. Bergamo. Today the winery is operated by the 3rd generation. They are located in the region of Friuli tucked up in the far northeastern part of Italy within the province of Pordenone. Their winery is located between the Prosecco DOC and Friuli Grave DOC wine areas. The soils from where their grapes are grown range from claylike, rich soils for their red wine production and soil comprised of stones and gravel perfect for their white wines. Even though this wine is labeled as extra dry it doesn't literally mean it is extra dry based on the levels of sweetness with brut being the driest to extra dry and then dry. It's made 100% from the glera grape. Light yellow in color there is plenty of lasting bubbles in this bubbly paired with citrus, pears and lively acidity. The winery recommends drinking it within 2 years of production. A light salmon pink color in the glass. It's produced with both the raboso and cabernet grapes. Generous bubbles fill the mouth with raspberry notes and bright acidity.